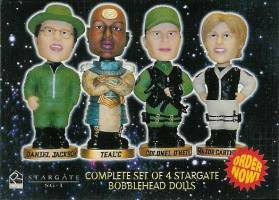 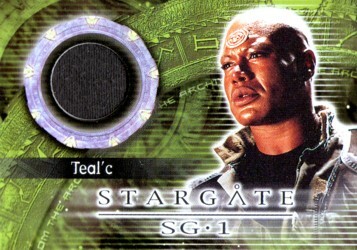 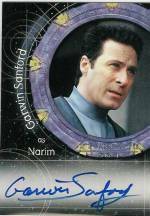 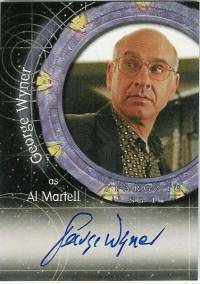 Stargate SG-1 Premiere Edition Trading Cards are coming February 2001! 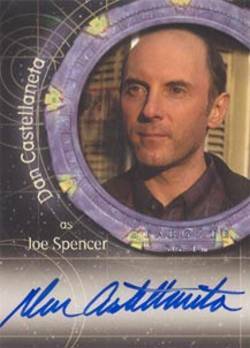 This premiere edition series has been limited to only 8,000 sequentially-numbered boxes and explores the first three seasons of episodes in a dynamic 72-card set. 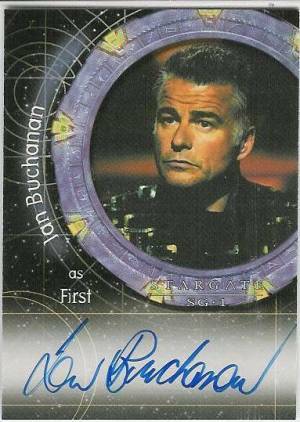 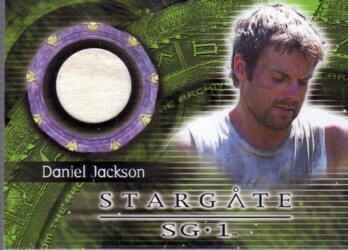 In addition, Rittenhouse has added several exciting bonus levels, including 9 Stargate Aliens; 5 Stargate Stars; 3 "From the Archives" cards with costume materials worn by Richard Dean Anderson (Col. O'Neill), Michael Shanks (Daniel Jackson) and Amanda Tapping (Maj. Carter); and 8 Autograph cards signed by Richard Dean Anderson (Col. O'Neill), Don S. Davis (Gen. Hammond), Teryl Rothery (Dr. Fraiser), Alexis Cruz (Skaara), Vaitiare Bandera (Sha're), Peter Williams (Apophis), Jay Acovone (Maj. Kawalsky) and more! 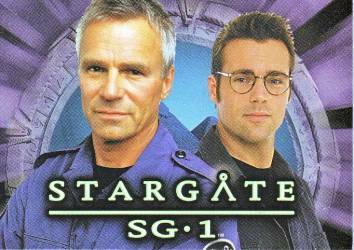 Following on the footsteps of 2001's sell-out premiere edition, Rittenhouse Archives presents Stargate SG-1 Season 4. 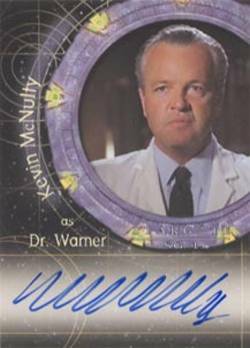 This series is limited to only 8,000 sequentially numbered boxes and explores the fourth season of episodes in a dynamic 72-card set. 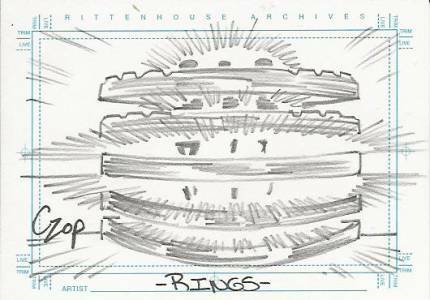 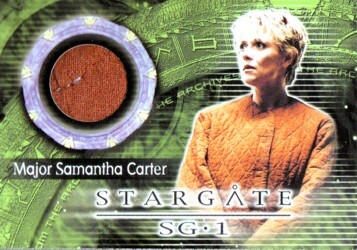 Each episode will be highlighted on three cards with detailed plot synopsis on the backs. 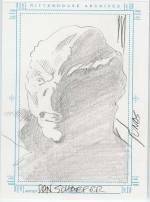 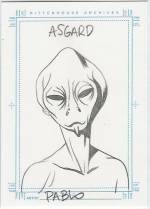 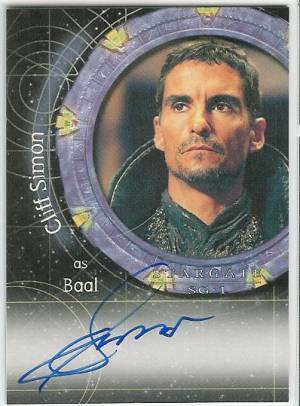 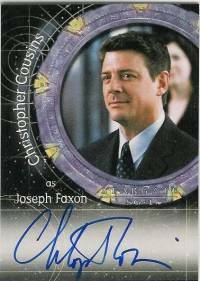 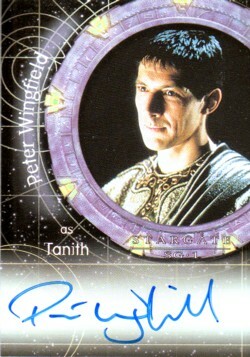 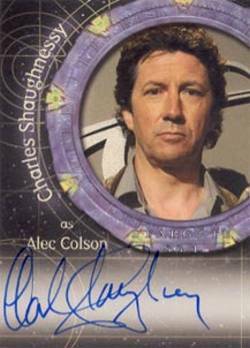 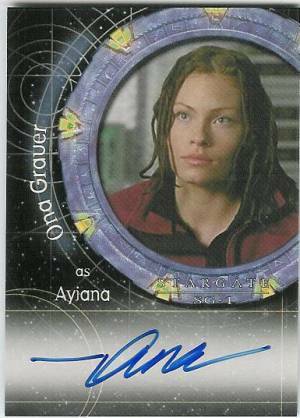 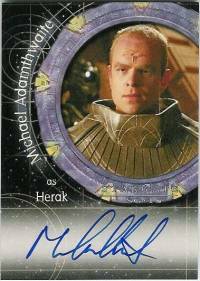 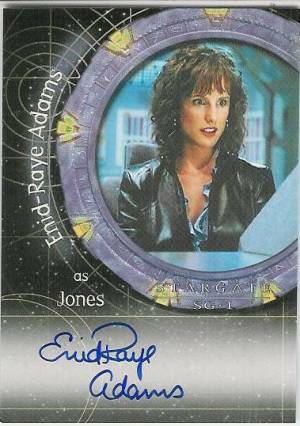 In addition, Rittenhouse has added several exciting bonus levels, including 9 Goa'uld Technology; 4 Hereos in Action; 6 Dial-Us-Home; 5 "From the Archives" Costume cards; 9 Autograph cards signed by Amanda Tapping (Major Carter), Michael Shanks (Dr. Jackson), Carmen Argenziano (Selmak) Peter Wingfield (Tanith), Tom McBeath (Colonel Maybourne) and more! 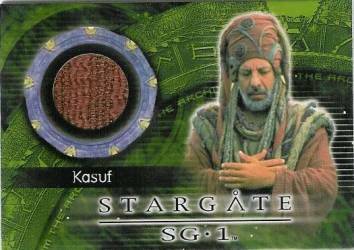 A new Official Stargate SG-1 Season 4 Collector's Album will also be available, and each album will come complete with 12 plastic sheets and an exclusive autograph card signed by Erick Avari as Kasuf (he also appeared in the Stargate movie). 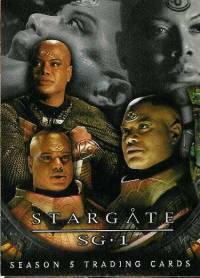 Following on the footsteps of the Premiere Edition and Season 4 sell-outs, Rittenhouse Archives presents Stargate SG-1 Season 5. 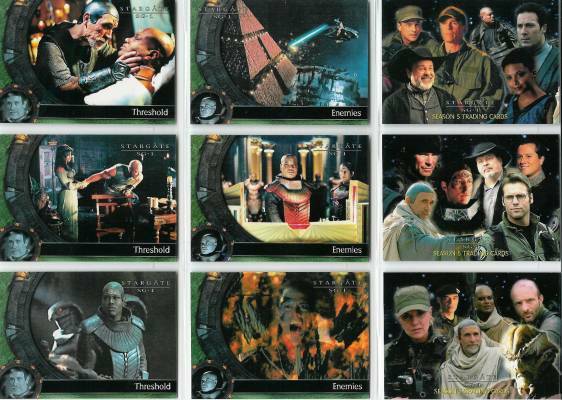 This series is limited to only 6,000 sequentially numbered boxes, compared to last years season 4 set of 8,000 boxes, and explores the fifth season of episodes in a dynamic 72-card set. 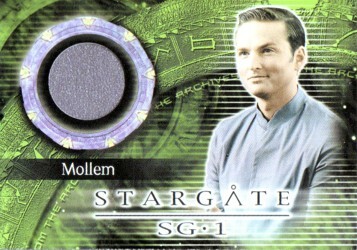 Each episode will be highlighted on three cards with detailed plot synopsis on the backs. 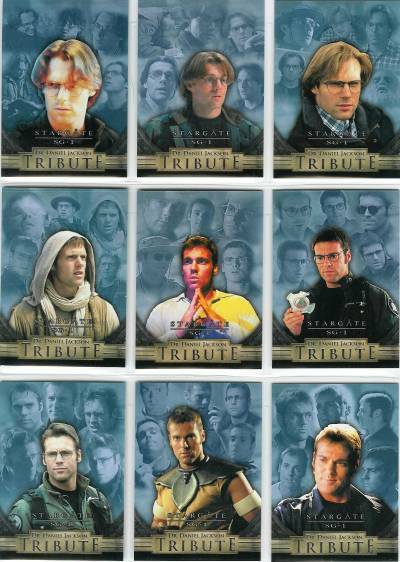 In addition, Rittenhouse has added several exciting bonus levels, including 9 Dr. Daniel Jackson Tribute; 12 False Gods; 6 Wormhole X-Treme! 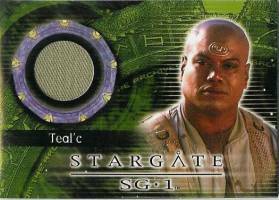 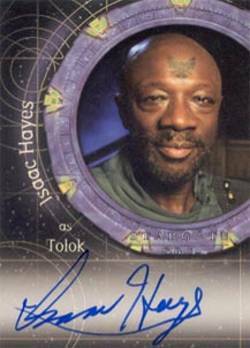 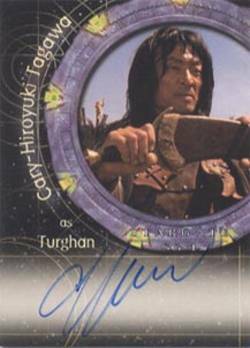 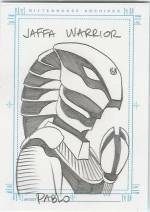 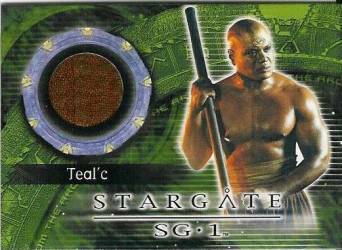 Gallery; 4 "From the Archives" Costume cards; 10 Autograph cards from Christopher Judge (Teal'C), Gary Jones (Sgt. 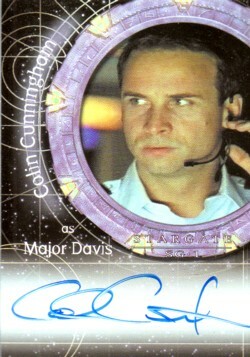 Davis), Michael DeLuise (Colonel Danning), Garwin Sanford (Narim) and more! 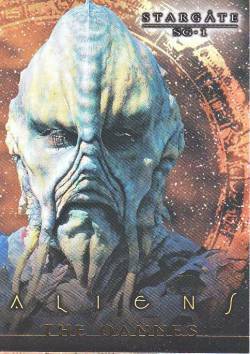 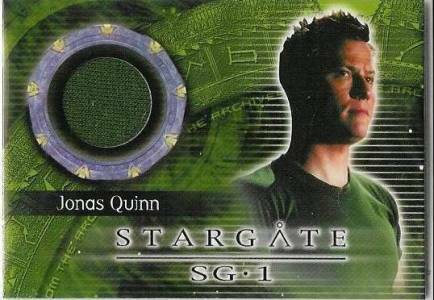 Year Six of Stargate SG-1 saw our heroes, including the newest SG-1 member Jonas Quinn, face a new and powerful enemy in the hands of Anubis, as well as the return of old ones including the Replicators, the Goa'uld Nirrti and treachery from within their own government. 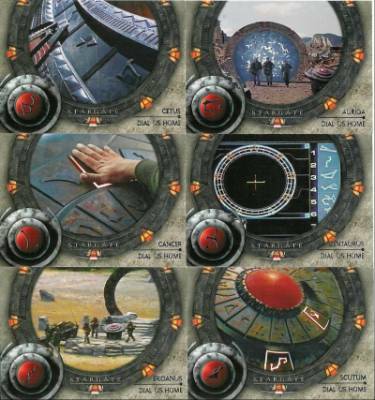 Rittenhouse Archives captures all of the excitement, danger and action in our Stargate SG-1 Season Six Trading Card set coming in March 2004. 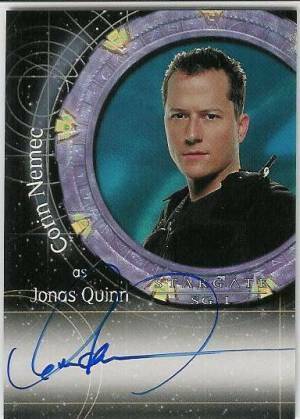 Each 40 pack box will contain 2 Autograph Cards from show stars Corin Nemec as Jonas Quinn, Amanda Tapping as Major Carter and Michael Shanks as Dr. Jackson. 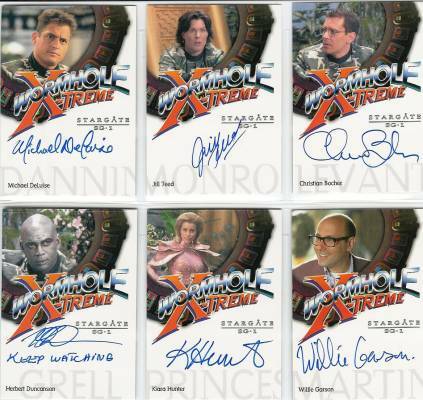 Additional signers include recurring guest stars Ronny Cox as Senator Kinsey, Garry Chalk as Colonel Chekov, Peter Stebbings as Malek, Obi Ndefo as Rak'nor, Musetta Vander as Shaun'auc and more! 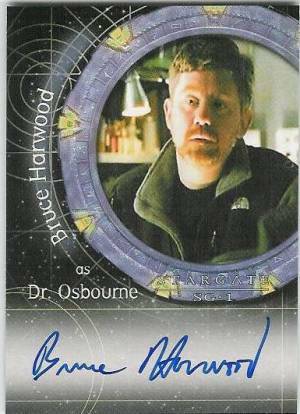 The excitment continues in the chase sets staring with Behind-the-scenes with Brad Wright. 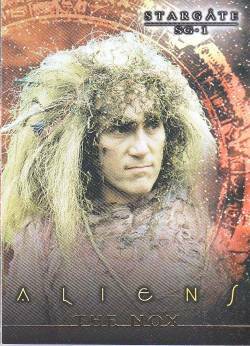 Executive Producer Brad Wright will be providing some exclusive behind-the-scenes information on nine of his most memorable shows from season 6. 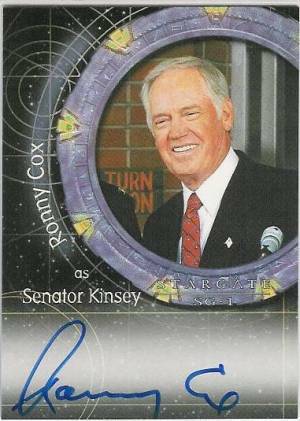 These cards can be found one in every five packs. 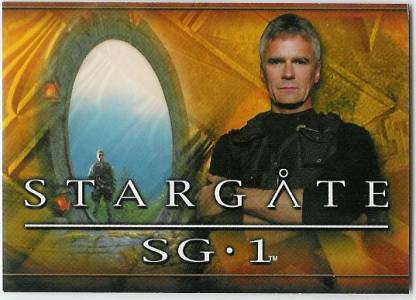 Every trip throught the Stargate carries with it the danger of the unknown and the potential that someone may not make it back. 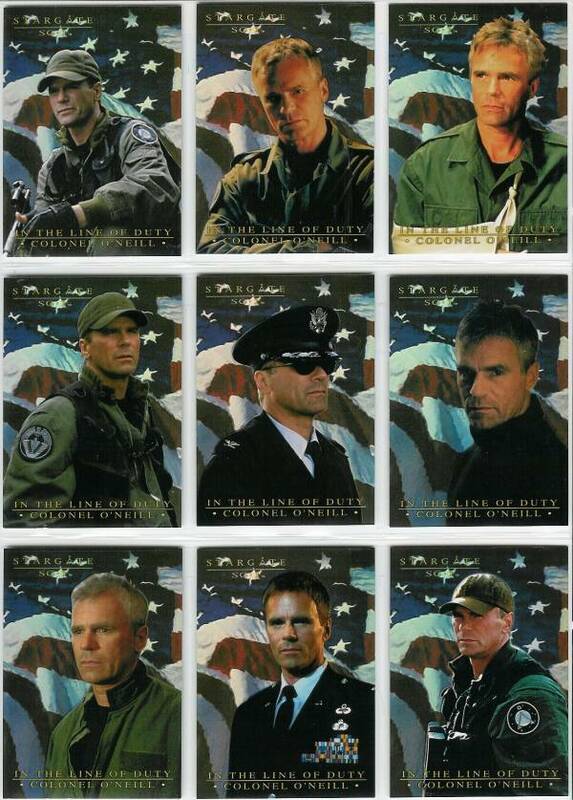 A nine card In The Line of Duty chase set, found one in every ten packs, will showcase the countless times Colonel O'Neill has placed his life on the line for his country and the price he has paid. 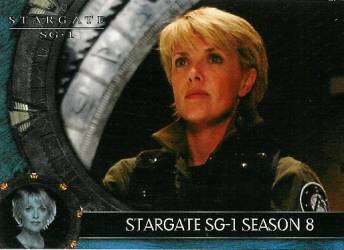 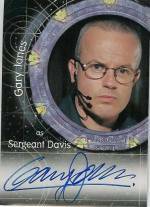 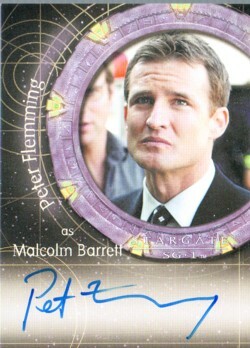 This set will also feature the first Gallery cards of the members of SG-1. 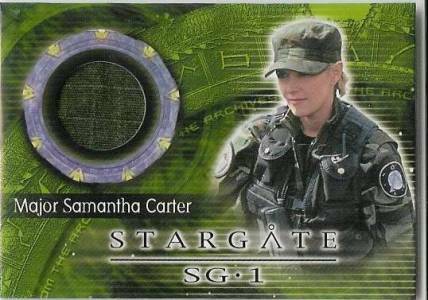 These cards will be found one per box and feature Colonel Jack O'Neill, Major Samantha Carter, Teal'C, Dr. Daniel Jackson, Jonas Quinn and General Hammond. 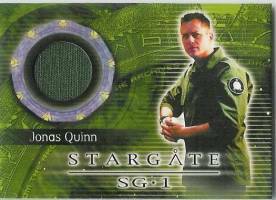 No Stargate SG-1 set would be complete without "From The Archives" costume cards and this set will feature four authentic screen worn costumes from Major Carter, Jonas Quinn, Dr. Fraiser and General Hammond. 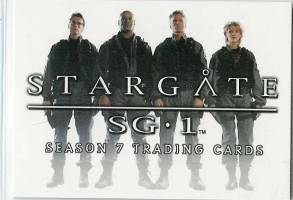 A year of personal loss, of new found love and the return of a hero marked the seventh year for our Stargate SG-1 team. 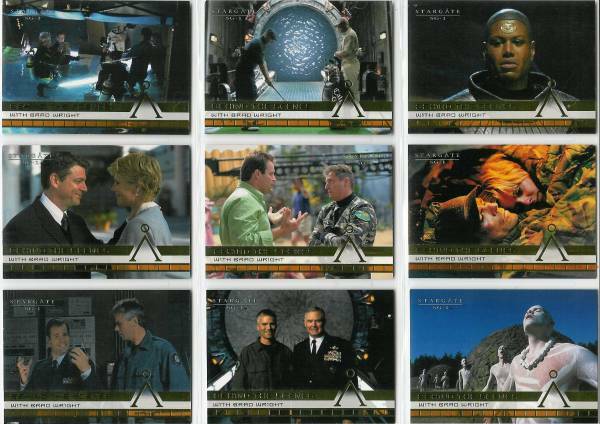 In March, remember all of the great adventures, the sacrifices and new discoveries with Stargate SG-1 Season 7 Trading Cards. 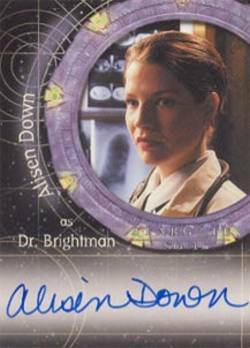 Each 40 pack box will contain 1 Autograph Card and 1 Costume or Relic(Prop) Card. 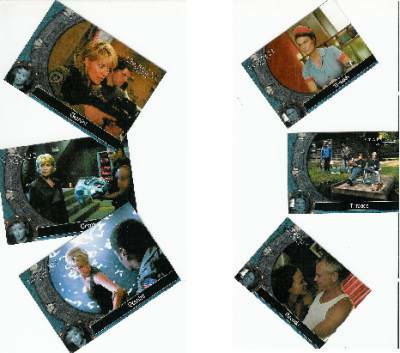 Carter's Surveillance Map from "Paradise Lost"
Alien Ship Blueprint from "Night Walkers"
EDS Dossier from "Absolute Power"
The excitement continues in the chase sets starting with a nine-card Behind-The-Scenes set written by Teryl Rothery found 1 in every 10 packs. 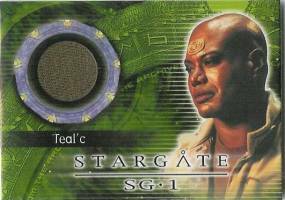 Next are two nine-card In The Line of Duty chase set will showcase the countless times Teal'c (exclusive to the North American boxes) and Dr. Jackson (exclusive to the United Kingdom boxes) have placed their lives on the line for his friends which can be found one in every 20 packs. 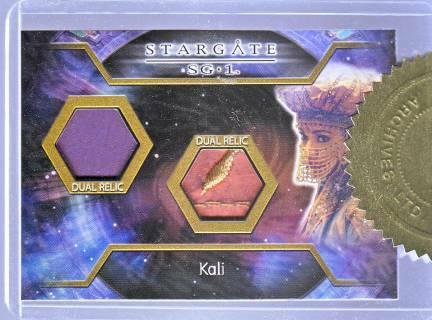 This set will also feature four Stargate Casting Call cards featuring the cast of Stargate SG-1 in out of character shots away from the set. 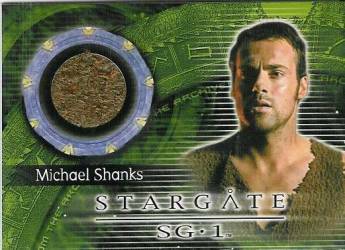 These cards will be found one per box and feature Richard Dean Anderson, Amanda Tapping, Christopher Judge and Michael Shanks. 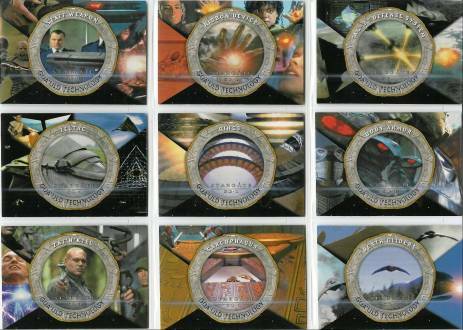 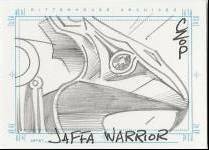 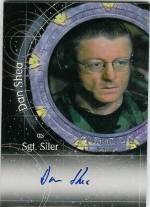 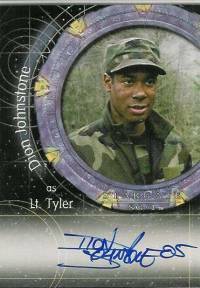 As a extra bonus, look for four Stargate SG-1 Team plastic cards were each card in sequentialy numbered to 600. 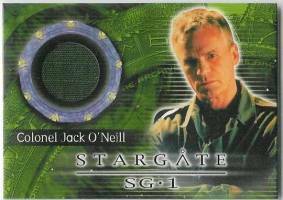 With Anubis' fleet destroyed, newly promoted General Jack O'Neill takes over command of the Stargate program. 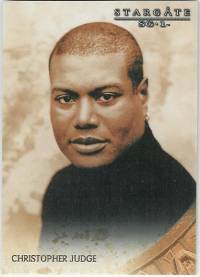 Lt. 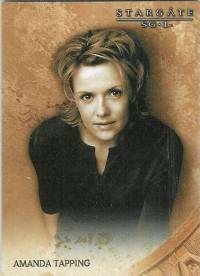 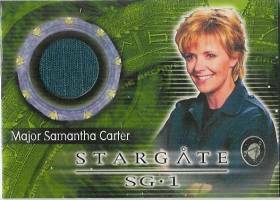 Colonel Samantha Carter now leads SG-1 as they struggle to help the rebelling Jaffa warriors and face the return of an enemy they thought dead. 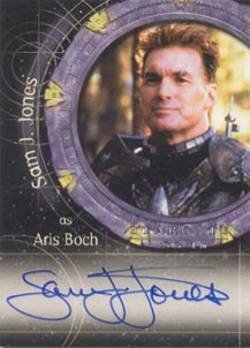 In February, remember all of the great adventures, the sacrifices and new discoveries with Stargate SG-1 Season 8 Trading Cards. 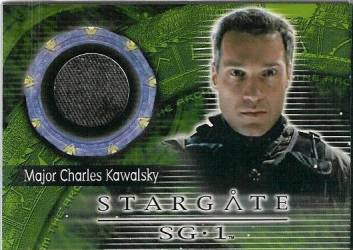 Kelownan Files and Papers from "Fallout"
Operations Manual for the Sebrus from "Space Race"
Jonas Quinn from "The Changeling"
Dr. Daniel Jackson from "Beneath The Surface"
Colonel O'Neill from "Full Circle"
Teal'C from "Beneath The Surface"
Major Kawalsky from "Point of View"
Kasuf from "Forever In a Day"
9-card set looking into the alternate reality or future versions of the SG-1 Team. 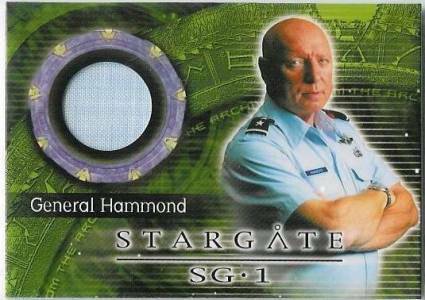 Look into the classified top-secret personnel files of the members of Stargate Command including a sneak peak into season 9! 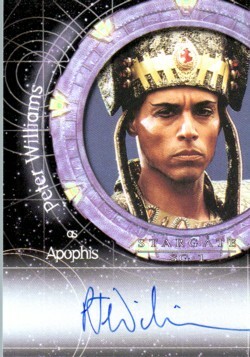 Bow down in respect before Apophis and Ra! 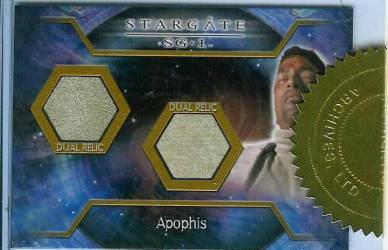 A year of change within the Stargate program as General Laundry takes over Stargate Command and a young eager former fighter pilot Lt. 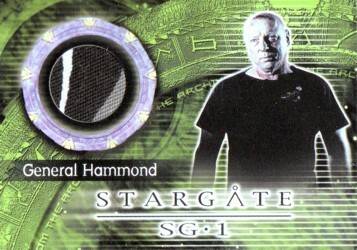 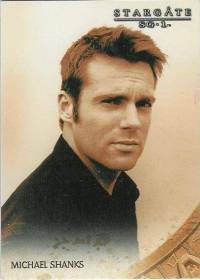 Colonel Cameron Mitchell takes over as commander of SG-1. 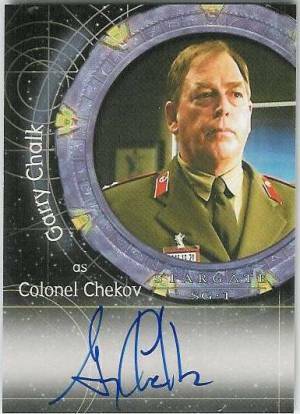 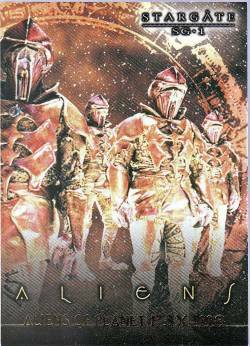 Colonel Mitchell must re-assemble SG-1 to face a threat even greater than the gou'ald. 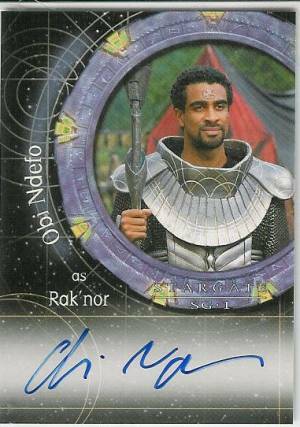 An ancient enemy of the long gone Ancients, the Ori have return and seek to spread their word across the galaxy. 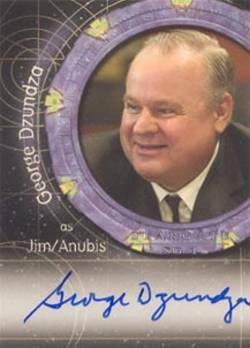 Those who do not bow down and convert are destroyed! 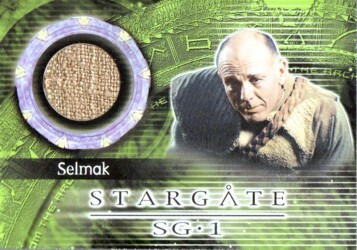 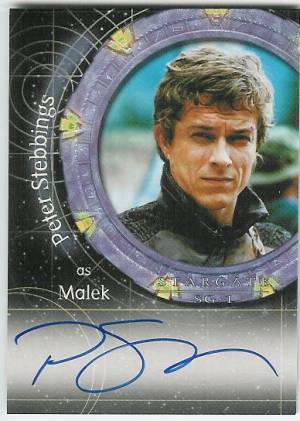 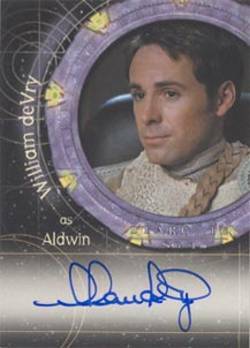 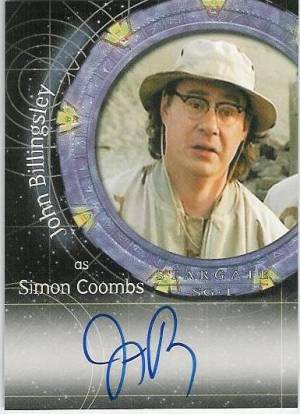 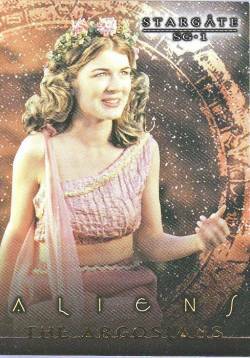 In March, remember all of the great adventures, the sacrifices and new discoveries with Stargate SG-1 Season 9 Trading Cards. 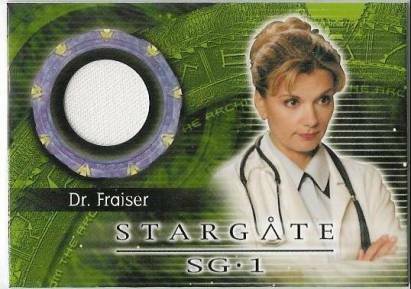 Each 40 pack box will contain 2 Autograph Card and 1 Costume or Relic(Prop) Card. 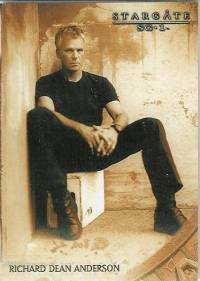 General Jack O'Neill's dress shirt from "Avalon"
Lt. 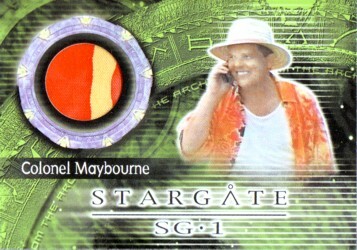 Colonel Cameron Mitchell's black BDU pants from "The Fourth Horseman"
Daniel Jackson's Robes from "Orpheus"
Daniel Jackson's Jeans from "Evolution"
Daniel Jackson's T-Shirt from "Evolution"
Fourth Outfit from "Unnatural Selection"
Unas leathers and furs from "Enemy Mine"
18-card set featurng the rough pre-production sketches used to create the sets, costumes and props.